One of the BEST clinics I’ve ever sat through was at the Glazier Clinic out in Las Vegas. The presenter was James Radcliffe, the Strength and Conditioning Coach at the University of Oregon. He has been there an astounding 31 years! It was very impressive because of the amazing insight, his enthusiasm for the topic, and his demonstration. In fact, Coach Radcliffe ripped a hole right in his pants while demonstrating the warm up routine! There is no doubt that he is one of the best in the biz. 1. 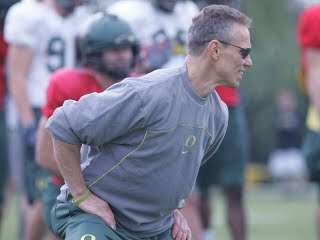 Coach Radcliffe works out every single Ducks’ athletic teams on the day of the game (if NCAA rules allow). And if they don’t allow for it, they will work out the day before the game. It’s a quick 20 minute work out. He said that if he was working at the high school level, he would most assuredly, without a second thought, work his football team out either before school or during 6th period on game days. This decision is a result of his decades of research. Athletes perform better when they have this type of workout on game day. In fact, he pointed to Michael Jordan’s career. Jordan was known for intense workouts on game days. 2. I really liked his version of the Dynamic Warm Up. 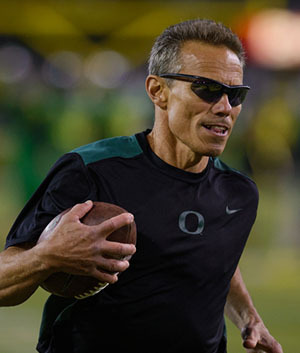 Was even more impressed that he warms up the entire Oregon Football team in about 6 minutes. Most other teams, because they are smaller in size, are warmed up in 3-5 minutes. There are 14 exercises that make up Oregon’s Dynamic Warm Up. See my PDF notes below. 4. He put a real emphasis on a study which found that athletes need to have “distance between their knees” while warming up. A warm up like “buttkickers” there the knees just stay next to each other for instance, is not a good exercise. Study after study has found that it is more important for athletes to move at the hips, not at the knees. 5. Load + speed + synchronization = Most effective way to prepare to run fast and jump high. Workouts must incorporate all three of these together in order to get the most out of the athletes. 6. 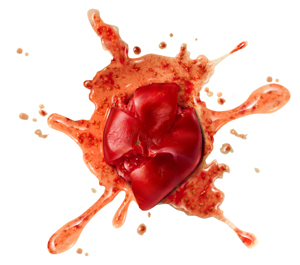 “Do you want to be a tomato or a super ball?” A tomato goes SPLAT; a super ball goes BOUNCE! Author Chris Fore is a veteran football coach and athletic director from Southern California. He has a Masters degree in Athletic Administration, is a Certified Athletic Administrator, and is on the California Coaches Association Board. Eight Laces Consulting, his business, provides dynamite resources for coaches. He is the author of An Insider’s Guide To Scoring Your Next Coaching Job, Building Championship Caliber Football Programs,and the Outside The Lines Manual for Football Coaches.